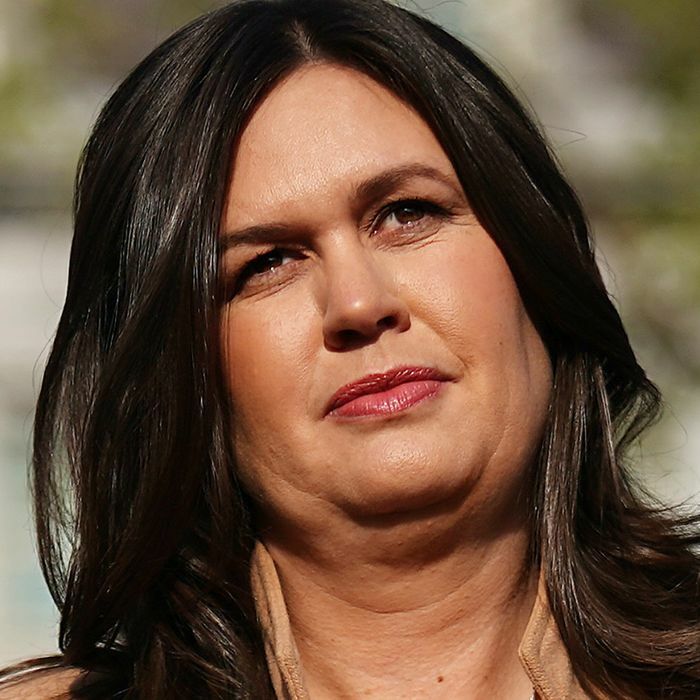 White House press secretary Sarah Sanders made a bold claim on Sunday morning in response to House Democrats’ efforts to obtain President Trump’s tax returns. Asked about the issue on Fox News Sunday by host Chris Wallace, Sanders responded that she did not trust Congress, “and frankly, Chris, I don’t think Congress, particularly this group of congressmen and women, are smart enough to look through the thousands of pages that I would assume President Trump’s taxes will be.” She then went on to suggest that people who have accountants can’t understand other people’s taxes, let alone the financial dealings of a self-branded megasuccess like Donald J. Trump. It’s not yet clear what purpose Sanders’s guessing game and lawmaker-intelligence assessment was intended to serve. She called the endeavor “a dangerous, dangerous road” and championed the protection of Trump’s privacy, yet also leaned back on his absurd ongoing claim that his tax returns remain in some perpetual state of audit, and that’s why he continues to be the only president in decades to hide his taxes from the American public (but who would totally share them if he could). On Saturday, House Ways and Means Committee chairman Richard Neal instructed the IRS to turn over six years of Trump’s tax returns by April 23. That came after the Treasury Department let an April 10 deadline to produce the returns come and go last week, but either way it’s just another volley in what is expected to be a long and complicated legal fight — assuming Representative Neal and his colleagues are smart enough to understand how government and the rule of law work.